Elizabeth, Alexis, Bailey, Sydney, Kate, and McKenzie come from different parts of the country and different backgrounds. But when they meet at Camp Discovery, they learn they all share one thing: an aptitude for intrigue! Soon they’re embroiled in a search for lost jewels…and that’s only the beginning! Whether it’s foiling terrorist plots or finding missing millionaires or rescuing sea lions, you’ll love joining the adventure with these precocious preteens, as they pitch in their personal skills to solve the mysteries and save the day! The perfect blend of mystery and mayhem—just for you! children. She loves reading, singing in front of her bathroom mirror, and being outside. She currently writes juvenile and young adult fiction. 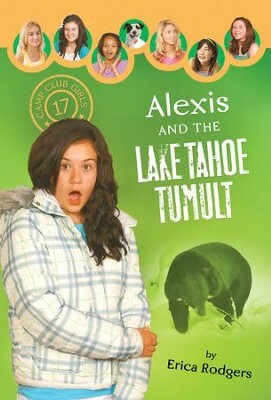 I'm the author/artist and I want to review Alexis and the Lake Tahoe Tumult - eBook.